This entry was posted by Anne Reith on January 7, 2013 . This month’s New Moon on Friday, January 11, finds both the Moon and Sun in conjunction (0°) at 22° of Capricorn. To further clarify how this New Moon will impact you on a personal level, locate 22° of Capricorn in your birth/natal chart. The issues associated with that house are going to be most affected by this New Moon’s presence. New Moons always represent a time when we can make new emotional starts and new opportunities to explore and set intentions in the areas related to the sign involved. This month that sign is Capricorn. However, at the time of this New Moon, the planets Mercury, Venus, and Pluto are also in Capricorn. This provides a LOT of Cap energy and magnifies the impact of the New Moon in Capricorn! Capricorn is also about our physical experience of our space and time. However, for many of us, that experience is currently in a state of flux. What we have taken for granted to be “true” about our 3-dimensional world is now being brought into question. Pluto’s long journey through Capricorn (2008-2024) and its ongoing square to Uranus in Aries (2012-2015) continues to draw us into realities far beyond the law of classical physics and into realms where nothing is stationary, solid, or separate. We are being asked to transform our perception of our physical reality. Pluto’s presence in Capricorn also calls us to transform our relationship to power. In the Western world, power is often defined as money, prestige, and dominance. With Pluto’s connection to Uranus, we are being motivated to accept that power also comes from love, truth, creativity, community and good health. We give away our power when we let others define our goals, when we are afraid to say no, or when we act from fear. This New Moon in Capricorn calls us to become conscious of our responsibility when it comes to the definition and use of power. Several days before the New Moon in Capricorn (Monday, January 7), a square (90°) between Mars and Saturn may provide a major reality check when it comes to our goals. You may begin to see where you are trying to force things to happen, or you may feel like you have one foot on the gas pedal and one foot on the brake. We may even feel like that your commitment to something is being tested. Patience and maturity are needed now in order to make progress. We may find that some projects need to be revamped or even abandoned. This is well-timed because it helps us set more realistic goals that can be successfully pursued when we encounter the energy of the New Moon in Capricorn later this week. On Tuesday, January 8, Venus moves into Capricorn. To be honest, Venus doesn’t like being in Capricorn. Venus is all about love, and Capricorn is all about responsibility. This placement brings a serious undertone to our relationships and to our finances. We may need to take time to look at these areas in our lives to see where we are not aligned with our values. We need to ask ourselves which values are truly important to us and which “values” may actually be fears in sheep’s clothing. While Venus moves through Capricorn (until February 2), it helps us create relationships that are solid and “real” and also aids us in seeing which relationships are not contributing to our highest good. On Saturday, January 12, Venus squares (90°) Uranus. This puts the focus, once again, on relationships and finances, and the presence of Uranus means that unexpected events may create changes the need for change. For example, we may suddenly become aware that one of our relationships has become old and stale If so, this aspect will help us to inject new energy and excitement into that relationships. For those who are socially adventurous, this can be an exciting time when we can seek love and fun in new an unusual ways. For those more comfortable with routine, this aspect can be upsetting. The key is to allow new energy to move into these areas of your life and to resist any inclination to maintain the status quo. On Wednesday, January 16, Venus conjoins (0°) Pluto. When Pluto connects with Venus, distrust in relationships can result; however, it also encourages us to examine our desires and face essential truths. Luckily, the next day, a sweet sextile (60°) between Venus and Saturn helps use release any irrational distrust by placing our feet on more solid ground. Overall, the series of aspects involving Venus during this timeframe may support us in taking responsibility and making necessary decisions, especially in our relationships and with regard to our finances. Whenever there’s a New Moon in Capricorn, you will be imbued with new discipline and commitment in pursuit of long-term goals. It’s also a good time to establish new habits. We are being encouraged now to finish what we’ve started rather than begin new projects. 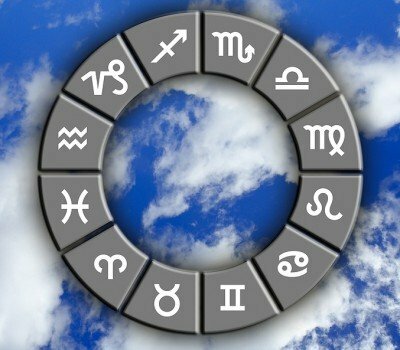 However, when Mercury conjoins (0°) the Sun on Friday, January 18, we are being given an opportunity to change our strategy when it comes to those long-term goals. And then on the very next day (Saturday, January 19), the Sun moves into Aquarius, which will bring idealism and intellect to the table as you approach your goals in new ways. And due to the Aquarian influence, you may also find that personal ambition is only satisfactory when put into the context of service to others.